Collecting competitor data with data mining. Harnessing big data to build a complex collection of viable information. Ultimately, BI tools are implemented to gather all the data necessary to paint a picture. In order to have the best view of your business landscape, the data sources need to be integrated. Business leaders can make drastic and informed decisions about their business’ future based on the quality of the data compiled and how it is organized. Not all BI tools are created equal. There are hundreds on the market, and only a select few provide the data collecting features you need to compete. The below is an overview of three BI tools: Jaspersoft, Microstrategy, Alteryx. What do they bring to the table and what makes them distinctly unique? Jaspersoft is an open source commercial solution. Users can manage reports, utilize OLAP, and review data visualization. Comprehensive data can be easily read and scanned with model charts and other visualization methods. To make matters even more accessible, users can access their data from anywhere through an integrated mobile app. Key performance indicators will allow you to discover clear “red flags” as well as areas you can further harness for higher performance. Trend and problem Indicators will highlight fields to focus on. The tool is known for its accessibility, clean design, and its ability to embed seamlessly within lightweight web applications for self-service business intelligence reporting for real-time operational needs. This type of design can work against it, however, as Jaspersoft is often criticized for its lightweight approach to BI management. Jaspersoft is available as SaaS, cloud, and on-premise. Both casual and deeply-informed users can write powerful expressions to get the most out of the system. Hiding beneath Jaspersoft’s clean interface is a robust and multi-faceted system. Microstrategy is a substantial proprietary tool for many various business types. The tool provides comprehensive solutions for field service, biotech, retail, banking, and government. Its flexibility and data-mining capabilities make it a suitable fit for quickly-growing entities in a vast array of areas. One of the best features of Microstrategy is its cloud support through Amazon Web Services. It connects you with one of the most substantial and groundbreaking systems in the world. Microstrategy is popular due to its cost. The desktop version of the tool is free, while the enterprise is modestly-priced. The desktop version has cloud-based limitations, but it sets a strong foundation if you want to learn the tool before really sinking into it. Microstrategy’s scalability is perhaps its most attractive features. Users can easily find a dynamic tool, whether they are crafting local spreadsheets or building grand and nuanced enterprise data systems. Data connectors are optimized for each source, so users can achieve the most comprehensive results possible. Many leader institutions, firms, and local chapters are using Microstrategy for their BI needs. The tool is built with the long-game in mind. For fast results, it may not have the immediacy you need. But for transformative data reporting, it’s a dynamic addition. Alteryx is a well-designed and integrated BI tool for challenging datasets. The exporting features and types are impressive due to various partnerships. These include collaborations with Microsoft, Tableau, and Qlik, giving you a wide set of file types to export from. Where Alteryx excels is in its visual analytics. Users can create rich and comprehensive analytics with a very straightforward workflow. There is little excess despite having substantial complexity. These visualizations can be automatically delivered for faster responsiveness. It’s a really intuitive system that few other BI tools can effectively muster so cleanly. To further press this point, the datasets for visualization do not need IT intervention. Get the data you need without the gatelocks that are often integrated. Of course, you will want training to navigate the tool so as to not make any drastic reporting and data prepping errors. One weakness of Alteryx is its lack of mobile access. It is currently not prioritized, which could reduce accessibility of this is a feature you fundamentally rely on. Every BI tool above has areas where it excels and areas where it can improve. Weight multiple factors, including cost, defining traits, accessibility, current business level, and more to find a clear winner. 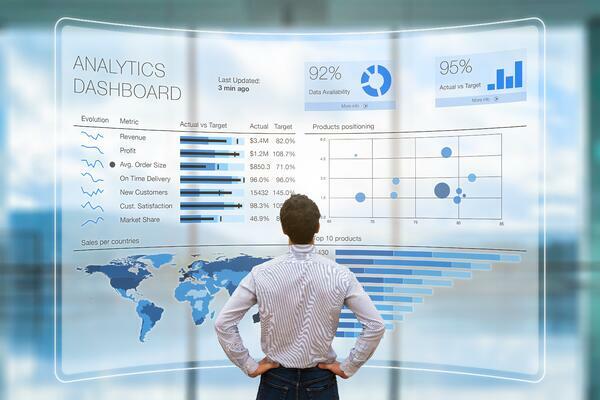 In all, businesses need some form of comprehensive business intelligence to thrive. Many industry leaders that rely on technology are already there. Are you?